There were some really great threads on Twitter recently talking about budgets, being poor, and associated such type things. I’ve always thought this & so few people will “admit” it. When you’re living on not enough money to cover cheap rent & basic bills, your problem isn’t a budget, it’s lack of quantity of money! There was one big takeaway that I’ve thought before and I haven’t seen written about enough. So I’m writing about it. There are all sorts of tips, tricks, hacks and whatever other current buzzwords exist about how to save money, to spend less, and otherwise “take control” of your “situation”. Pretty much, things that a decently intelligent child could tell you to do. There are large assumptions being made here. One is that it’s your fault you don’t know how to manage money. Review your budget, they’ll say. Find new corners to cut! If you just tried hard enough, you wouldn’t be poor. Others include that you haven’t thought of these things. Assumptions exist when people tell you that public transport is cheaper than a car. Not always true. Not always possible where you live, either. Or for medical/accessibility reasons. Of course, we could discuss global neoliberal economic polices here, which I studied as part of my postgrad degree in 2016, but it won’t help you when you’re in a bad financial situation to know that bad policies exist globally. If you do not earn enough money to pay your bills, then no budget, rebudgeting, skipping coffee or anything else, will save you. Only more money will fix your budget problem. I’ve earned high salaries. Low salaries. Been on student and unemployment benefits. Money is transitory and jobs are insecure. I’ve bought food without thinking of the cost. I’ve gone to food banks for my food so I could save precious rare cash for bills instead of food. And no one, no one I’ve ever spoken to has admitted that sometimes the problem is that you need more money. 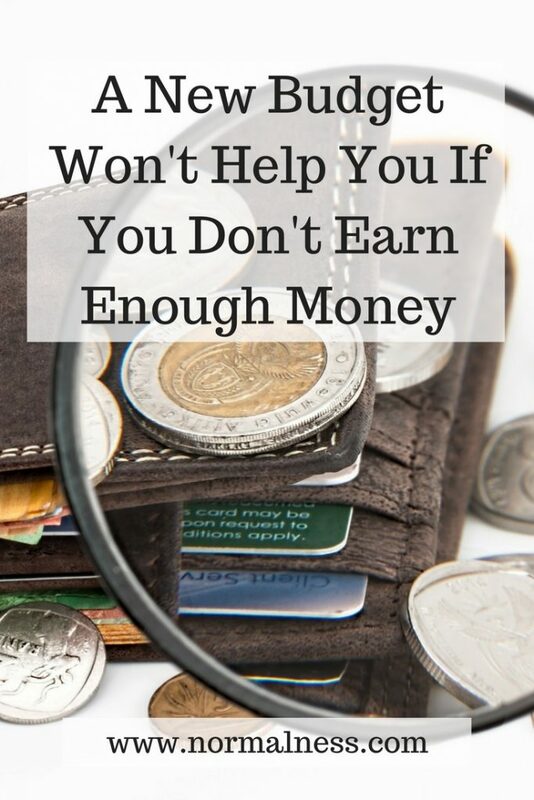 Hey, my budgeting advice is earn more! I don’t want to say that in a wankery way. I believe that 99.9% of people are doing what they can within their abilities to earn what they need to live. But the articles implying it’s your budgeting skill’s fault don’t help the situation. Nor do they help ingrained cultural ideas about people don’t earn much, need welfare, get disability support and so on. I don’t know if my language is right in this post. I feel like I’m using “you” too much and that’s what others use to blame people who don’t have enough money. Some things are systemic. Some things are under personal control. I hope no one takes the use of “you” as blame, because I don’t mean it that way. 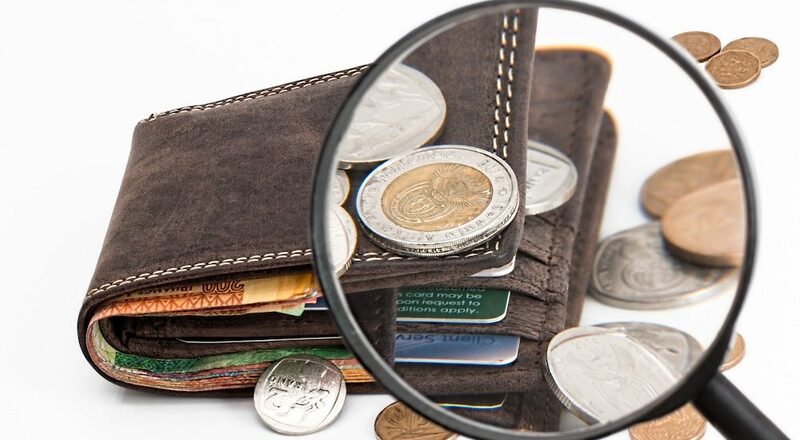 There is so much I could say on this topic (especially around “poor” peoples right to choose what they spend money on), but I want to focus of this blog post to be “sometimes, what you have just isn’t enough”. It does not equal your self worth. We all grow up with strange knowledge, habits, biases and our own history of what money “should” be used for. This is not to negate the importance of money in keeping a roof over your head, bills paid, health maintained and all of the important things money helps us to access. It just means that money is a tool and is NOT the same as your worth as a person. Affiliate Course: I learned about my relationship with money by taking the Money Mindfulness Course. Some of the other great Twitter threads you can read about this. You’ll need to click through to read the entire threads. Something I wish more people would realise is how alienating it is to be poor/broke when you have financially stable/comfortable friends. Brutal honesty: a part of me still feels guilty when I receive gifts/tributes, like I don’t *deserve* them. It’s time that people were more honest about this. It’s not your budgeting skills that need refining. It’s the quantity of money you have coming in. It’s basic maths. Want to talk more about money? Sign up for my newsletter here. This is a great post. I think budgeting advice is more for those who are currently in a privileged position in the first place. To be privileged and earning well, but frittering it away is one thing, but to literally not have the money – that’s a whole other issue. Like you, I have been in both situations and there’s nothing worse than being told to just save more when you have nothing to save! There is definitely a level of privilege to be able to budget. Especially when we have welfare payments below the poverty line, no budget juggling will save those who are expected to live on those amounts. I work as both an employee and a self-employed professional. I believe that my boss can decide how much he pays me, not how much I make. I believe that having some sort of passive income to cover my expenses should be my focus, not a budget. Do you agree? That is certainly one strategy and if it’s working for you, that’s great. But it misses the point of the blog post by assuming people can work. By assuming markets are holding up good incomes, and all the many many variables that go into a person having an income. And a boss can’t just decide what to pay you, there are awards, legal minimum rates, industry rates, your skills, experience and eduction to consider.